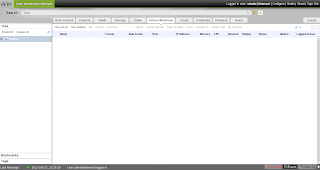 The oVirt Project is an open virtualization project for anyone who cares about Linux-based KVM virtualization. Providing a feature-rich server virtualization management system with advanced capabilities for hosts and guests, including high availability, live migration, storage management, system scheduler, and more. Let's get it installed and running to see what you can do. The configuration i'm looking to use is three (3) x86_64 machines, each with 4Gb memory, VT-x enabled and 100Gb of local disk. Additionally I have a NFS server that will provide shared storage. 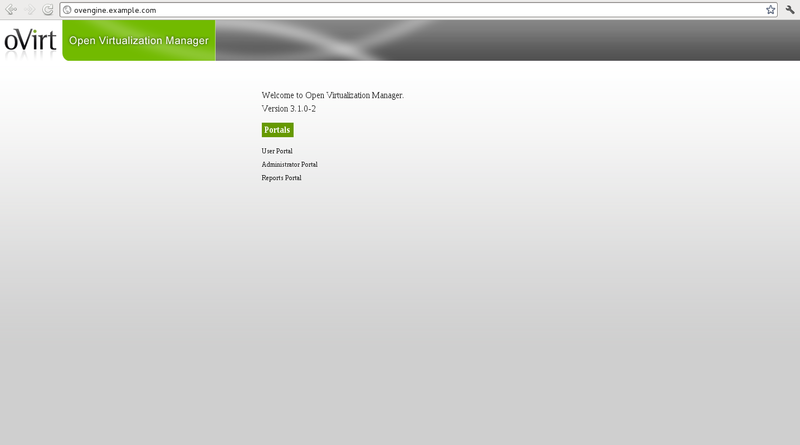 Starting at the Get oVirt link you can see that oVirt consists of two (2) types of server. The oVirt node. In this case i'm deploying the oVirt node image as the hypervisor on the compute nodes. Starting with the engine you firstly need to get F17 up and running, this shouldn't be too difficult. I recommend you perform a 'yum upgrade' before proceeding with the engine install. In my case I also changed the systemd default from graphical mode to multi-user as I didn't feel the need for a GUI on the engine host. Your DNS needs to work ! Get your engine and the nodes into your DNS. In my case I have ovengine.example.com, ovnode01.example.com, ovnode02.example.com and nfs.example.com. Using the instructions at http://wiki.ovirt.org/wiki/OVirt_3.1_release_notes#oVirt_Node install the engine from the supplied rpms. Once the rpms have all been installed then execute the engine-setup and answer the questions. Once the configuration script has executed you can go to the portal URL http://ovengine.example.com/ and login using the credentials you specified above. Now it's necessary to build your oVirt node images so that they can be added into a cluster within the engine. 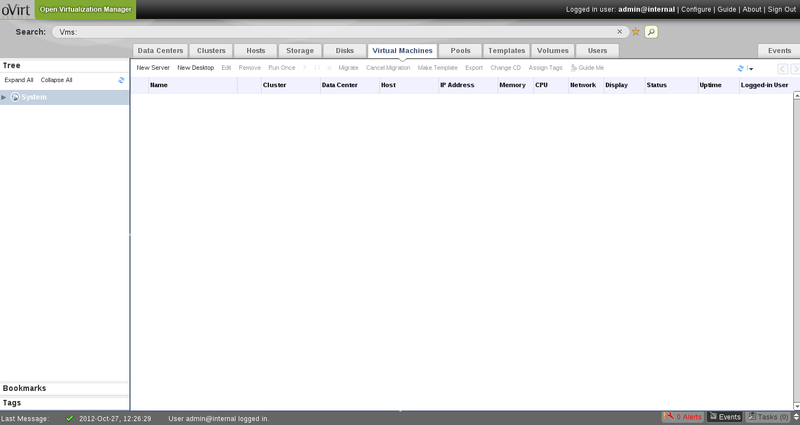 Download the ovirt node image from ovirt.org, burn it to a CD and boot your two hypervisor nodes with it. I'll cover that in the next part.